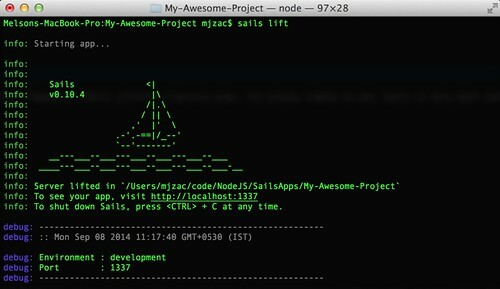 Lately, I have been into node js, particularly to a MVC framework, Sails js. It’s pretty simple to use. You can find various blogs and tutorials for sails js. Sailscast by Ponzicoder is highly recommended to begin with. 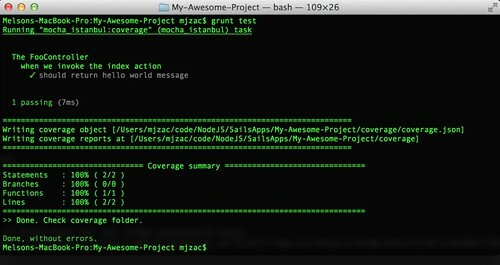 In this post, I will be showing how to write tests for sails js apps (version >= 0.10.4). First you need to install CLI for grunt globally. Create a folder named test in root folder of your project and it should mimic the api folder generated by sails. Create a test file for FooController with name FooController.spec.js in test/controllers with following content.